Blotch and Thrum: 3 days before Christmas, and still much to do. So, thing are happening in my life, which I am not sure if they are secrets or not, so I'm not sure what to say about it. 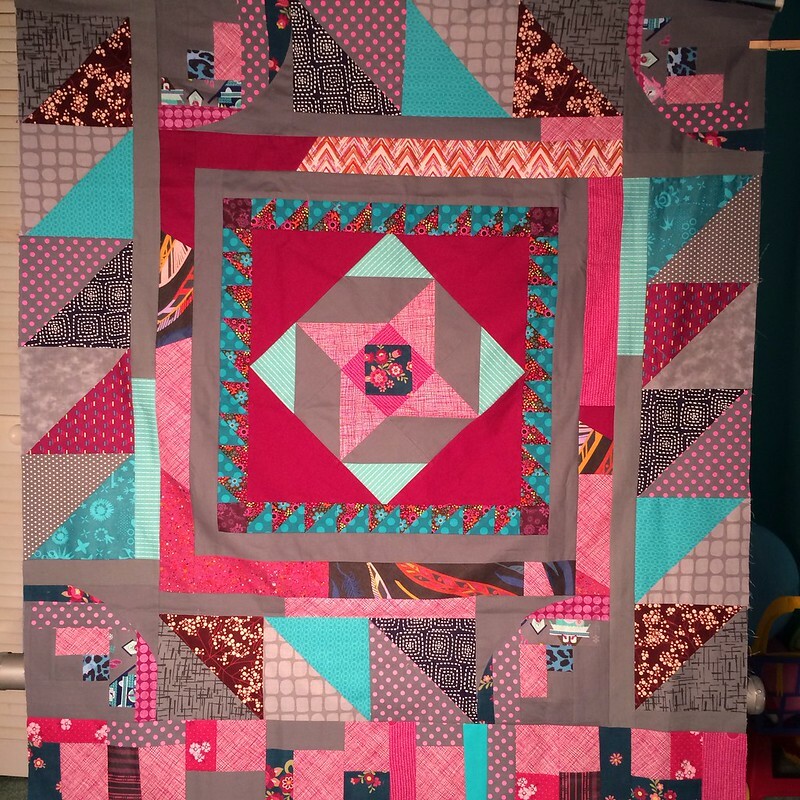 The upshot is that I am sure that in a few weeks I will have even less time to sew, which makes my 100 WIPs a problem that I have maybe 3 weeks to sort out. 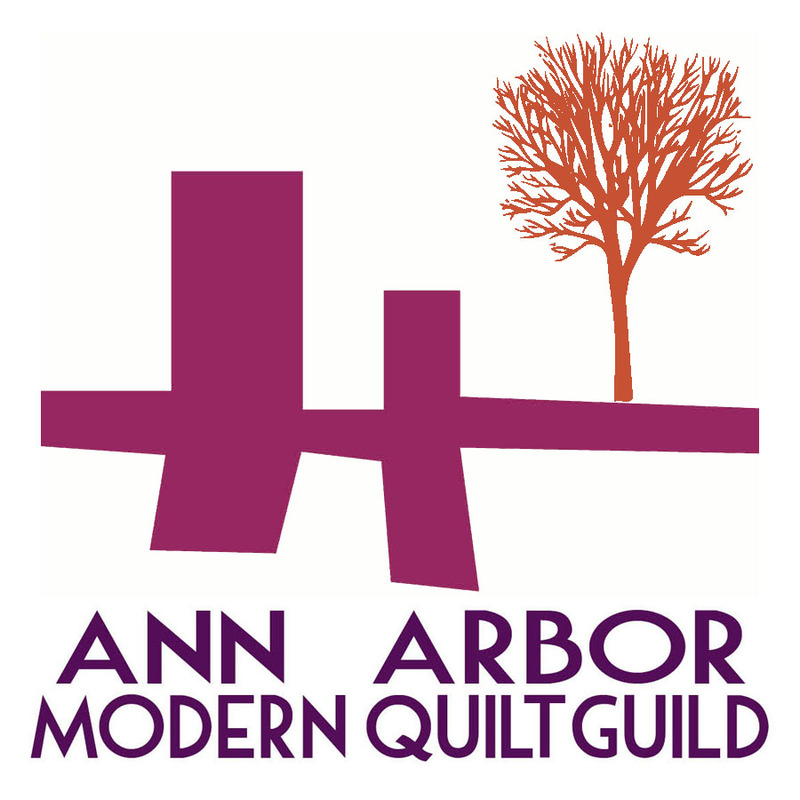 To that end, I've dropped out of the Ann Arbor Modern Quilt Guild's Round Robin, which is sad, but as I won't be able to attend meetings regularly anymore, seems like the only thing to do. 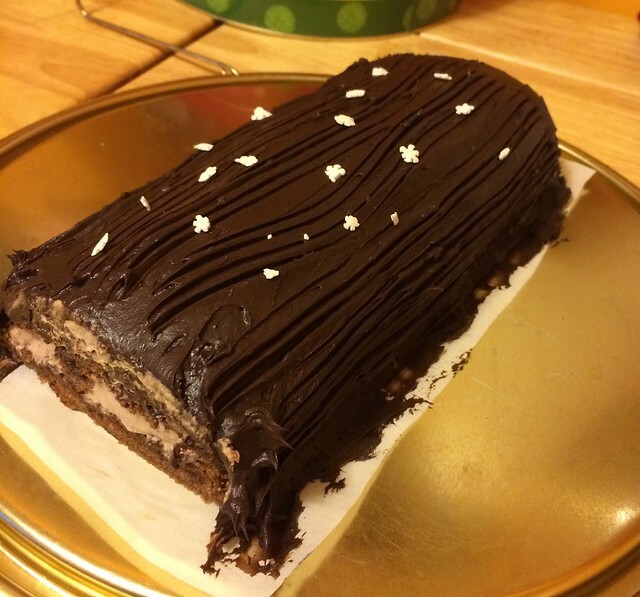 And here it is so far! Isn't it great! I'm really happy with it, though it's not very big yet. I'm not sure if I'll work on it, or hold it for awhile, we'll have to see. As I've said, I've got a lot of WIP already. And I'm dropping out of one other guild in a few months, and the other two I have dropped entirely this year, because I'm just too overbooked. Which is really sad, because guilds are amazing, and such a cornerstone of my life these last few years, but... But, other things are going on, and I hope in a year or two, things can settle, and I can turn up again. And that in itself is a great thing about guilds, you can wander back in after years away and it's like you never left. It's a bit greener than the pictures of it, in real life. 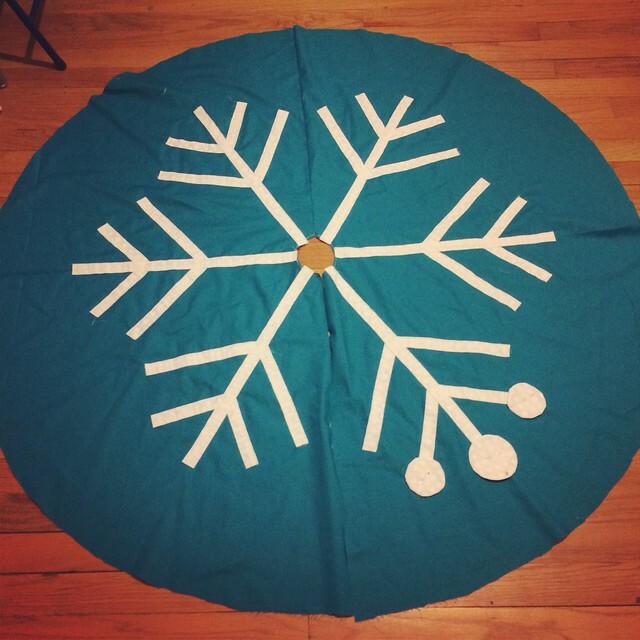 I've gotten all the branches sewn on, and the circles are currently being prepped. I bought a back from Pink Castle Fabrics's sale section, which I am super excited for. It's from that super cute collection Birds of a Feather. They didn't quite have enough for the entire back, so I'll be piecing in some things, I think mostly it will be the leftovers from the top. Or left over from other backs. Because this one is going to be on the floor, I don't feel like I need a coherent story for the back. In doing so, I used up the last of the snowflakes from the Snowflake mix, so we'll have to be on the look out for that before next Christmas. Well, a child is telling me it's time to decorate more cookies, so I have to go!